person or organization of such revisions or changes. Copyright В© 2012 by D-Link Systems, Inc. If any of the above items are missing, please contact your reseller. Note: Using a power supply with a different voltage rating than the one included with the DIR-835 will cause damage and void the warranty for this product. installed. Visit www.java.com to download the latest version. Combines award winning router features and IEEE 802.11a/g/n wireless technology to provide the best wireless performance. The most complete set of security features including Active Firewall and WPA/WPA2 to protect your network against outside intruders. Provides greater wireless signal rates even at farther distances for best-in-class Whole Home Coverage. (QoS) engine that keeps digital phone calls (VoIP) and online gaming smooth and responsive, providing a better Internet experience. Powered by Wireless N technology, this high performance router provides superior Whole Home Coverage while reducing dead spots. or desktop adapter and stay connected to your network from virtually anywhere in your home. adversely affect wireless signal range. freedom of wireless networking at speeds 13x faster than 802.11g. standards, so it can connect with existing 802.11g and 802.11a PCI, USB, and Cardbus adapters. server. Configure your router to your specific settings within minutes. Pressing the Reset button restores the router to its original factory default settings. Press the power button to power on and off. Connect 10/100/1000 Ethernet devices such as computers, switches, and NAS. Receptor for the supplied power adapter. A solid green light indicates a proper connection to the power supply. A solid green light indicates connection on the Internet port. This LED blinks during data transmission. in an enclosed area such as a closet, cabinet, or in the attic or garage. вЂў Please configure the router with the computer that was last connected directly to your modem. change connection types (USB to Ethernet). WinPoet, Broadjump, or Enternet 300 from your computer or you will not be able to connect to the Internet. re-connect your computer back to the modem and make sure you are online. of walls or ceilings is minimized. devices so that the signal will travel straight through a wall or ceiling (instead of at an angle) for better reception. 3.Building Materials make a difference. A solid metal door or aluminum studs may have a negative effect on range. cabinets, brick, and concrete will degrade your wireless signal. 1.Place the router in an open and central location. Do not plug the power adapter into the router. 2.Unplug the modemвЂ™s power adapter. Shut down your computer. the Internet port on the router. 5.Plug in your modem. Wait for the modem to boot (about 30 seconds). 8.Refer to page 13 to configure your router. a DHCP address from your other router. to do anything to your computer. Admin and leave the password box empty. Click Log In to continue. your computerвЂ™s IP settings back to the original values as in Step 1. 6.Disconnect the Ethernet cable from the router and reconnect your computer to your network. into the Internet (WAN) port of the D-Link router. sections for more information on setting up your wireless network. quickly through the installation process. XP. The steps and screens are similar for the other Windows operating systems. (where D: represents the drive letter of your CD-ROM drive). When the autorun screen appears, click Install. Note: It is recommended to write down the SSID and Security Key, followed by the login password on the provided CD holder. have not configured your router or you performed a factory reset and did not run the CD wizard, the following wizard will appear. Explorer and enter the IP address of the router (http://192.168.0.1). Please wait while your router detects your internet connection type. ISP information such as username and password. modem to the Internet port and then click Connect. a list of connection types to choose from. Select your Internet connection type and click Next to continue. or key entered to be able to connect to your wireless network. In order to secure your router, please enter a new password. CAPTCHA authentication for added security. settings. Click Save to continue. D-Link offers an app for your iPad, iPod Touch, or iPhone (iOS 4.3 or higher) to install and configure your router. search for вЂ�D-LinkвЂ™. Select QRS Mobile and then download it. You may also scan this code to download. on your device. Scan for the wireless network name (SSID) dlink and connect. it will guide you through the installation of your router. page, you will be directed to this screen. your password. Leave the password blank by default. to the Troubleshooting section for assistance. Select the Internet Connection you would like to use. connection manually and continue on pg 18.
using the wizard, click Internet Connection Setup Wizard. are four octets separated by a dot (x.x.x.x). The Router will not accept the IP address if it is not in this format. IP Address: Enter the IP address assigned by your ISP. Subnet Mask: Enter the Subnet Mask assigned by your ISP. Default Gateway: Enter the Gateway assigned by your ISP. optimal performance with your specific ISP. 1500 is the default MTU. MAC address with the MAC address of your Ethernet card. is commonly used for cable modem services such as Comcast and Cox. Enable getting you the information and web pages you are looking for faster and more reliably. DNS Service: mistakes automatically, taking you where you intended to go and saving you valuable time. operation of the Advanced DNS service or its features. Use Unicasting: Check the box if you are having problems obtaining an IP address from your ISP. not specifically receive these from your ISP. with your specific ISP. 1500 is the default MTU. Address button to replace the Internet portвЂ™s MAC address with the MAC address of your Ethernet card. computer. The software is no longer needed and will not work through a router. My Internet Select PPPoE (Username/Password) from the drop-down menu. gateway, and DNS server addresses. In most cases, select Dynamic. IP Address: Enter the IP address (Static PPPoE only). User Name: Enter your PPPoE user name. Password: Enter your PPPoE password and then retype the password in the next box. Service Name: Enter the ISP Service Name (optional). Reconnect Select either Always-on, On-Demand, or Manual. Time: maintained during inactivity. To disable this feature, enable Auto-reconnect. DNS Addresses: Enter the Primary and Secondary DNS Server Addresses (Static PPPoE only). performance with your specific ISP. 1492 is the default MTU. address on the Broadband Router. It is not recommended that you change the default MAC address unless required by your ISP. and password. This option is typically used for DSL services. PPTP IP Address: Enter the IP address (Static PPTP only). Mask: Addresses (Static PPTP only). PPTP Gateway: Enter the Gateway IP Address provided by your ISP. PPTP Server IP: Enter the Server IP provided by your ISP (optional). Username: Enter your PPTP username. password in the next box. replace the Internet portвЂ™s MAC address with the MAC address of your Ethernet card. password. This option is typically used for DSL services. L2TP IP Address: Enter the L2TP IP address supplied by your ISP (Static only). L2TP Subnet Enter the Subnet Mask supplied by your ISP (Static only). L2TP Gateway: Enter the Gateway IP Address provided by your ISP. L2TP Server IP: Enter the Server IP provided by your ISP (optional). Username: Enter your L2TP username. Another Internet Connection type is DS-Lite. to enter the AFTR IPv6 address in manually. Address: AFTR IPv6 address used here. B4 IPv4 Address: Enter the B4 IPv4 address value used here. WAN IPv6 Once connected, the WAN IPv6 address will be displayed here. device using Wi-Fi Protected Setup (WPS) and refer to page 96.
schedule you create will be available in the drop-down menu. Click Add New to create a new schedule. 802.11g Only - Select if all of your wireless clients are 802.11g. 802.11n and 802.11g wireless clients. 802.11n Only - Select only if all of your wireless clients are 802.11n. Enable Auto The Auto Channel Scan setting can be selected to allow the DIR-835 to choose the channel with the least amount of interference. Transmission Rate: Select the transmit rate. It is strongly suggested to select Best (Auto) for best performance. Auto 20/40 - This is the default setting. Select if you are using both 802.11n and non-802.11n wireless devices. Channel Width: 20MHz - Select if you are not using any 802.11n wireless clients. 40MHz - Select if you are using 802.11n wireless clients only. order to connect to it. Wireless Security: Refer to page 93 for more information regarding wireless security. menu. Click Add New to create a new schedule. both 802.11n and 802.11a wireless clients. Transmission Select the transmit rate. It is strongly suggested to select Best (Auto) for best performance. 20MHz - Select if you are not using any 802.11n wireless clients. This section will allow you to change the local network settings of the router and to configure the DHCP settings. to get back into the configuration utility. Local Domain: Enter the Domain name (Optional). computers will use the router for a DNS server. the IP address pool to the requesting computer. You must specify the starting and ending address of the IP address pool. Enable DHCP Check this box to enable the DHCP server on your router. Server: Uncheck to disable this function. this range or you may have an IP conflict. Learn NetBIOS Enable this feature to allow WINS information to be learned from the WAN side, disable to allow manual configuration. the вЂ�Learn NetBIOS information from WANвЂ™ is activated. NetBIOS Node: Select the different type of NetBIOS node; Broadcast only, Point-to-Point, Mixed-mode, and Hybrid. WINS IP Enter your WINS IP address. will assign the IP address only to that computer or device. Enable: Check this box to enable the reservation. Name: down menu and click <<. the DHCP IP Address Range. MAC Address: Enter the MAC address of the computer or device. Settings at the top to activate your reservations. This feature allows you to share music, pictures and videos with any devices connected to your network. Enable Media Check this box to enable the media server feature. Computer Enter the media serverвЂ™s name. can create users to be allowed to access these files. Access: plugged in your router. Storage Remote to type HTTP in the URL. Enable HTTPS Check to enable HTTPS (secure) access to your routerвЂ™s storage. Storage Remote You will have to type HTTPS in the URL. User Name: To create a new user, enter a user name. Password: Enter a password for this account. Verify Password: Re-enter the password. Click Add/Edit to create the user. Number of Devices: Displays any storage device plugged into the router. Storage Device Displays the URL of your storage device(s). want to use. The default for HTTP is 8181 and HTTPS is 4433. Under User List, click the Modify icon for the user you just created. card you want to assign the Access Path to. must type in HTTPS:// instead of HTTP:// to get a secure connection. must enable file sharing from the Setup > Storage page (refer to page 37) for this app to work properly. 1. Insert your USB storage device and/or SD card into the DIR-857. store to your iPhone or iPad. 3. From your iOS mobile device, click Settings. setup and then enter your Wi-Fi password. 5. Once connected, click on the SharePort Mobile icon. 6. The following screen will appear. storage devices on your router. the storage devices on your router. from the storage devices on your router. can use the Webbased IPv6 Internet Connection Setup Wizard, or you can manually configure the connection. On this page, the user can configure the IPv6 Connection type. There are two ways to set up the IPv6 Internet connection. You can use the Webbased IPv6 Internet Connection Setup Wizard, or you can manually configure the connection. you through a few simple steps to get your network up and running. D-Link router and connect to the IPv6 Internet. made and return to the main page. through the input of the appropriate parameters for the connection type found. manual continual of the wizard. connection method, please contact your IPv6 Internet Service Provider. Cancel button to discard all the changes made and return to the main page. IPv6 Internet connection that requires a username and password to get online. Most DSL modems use this type of connection. create a new PPPoE connection here. your user name, please contact your ISP. your password, please contact your ISP. Click on the Next button to continue. Click on the Prev button to return to the previous page. Click on the Cancel button to discard all the changes made and return to the main page. Server. Your ISP provides you with all this information. Address: with neighboring nodes on the same link. This mode enables IPv6capable devices to communicate with each other on the LAN side. IPv6 Address: Enter the WAN IPv6 address for the router here. Subnet Prefix Enter the WAN subnet prefix length value used here. Default Gateway: Enter the WAN default gateway IPv6 address used here. Primary IPv6 DNS Enter the WAN primary DNS Server address used here. Secondary IPv6 DNS Enter the WAN secondary DNS Server address used here. configure the IPv6 6rd connection settings. IPv4 Address: Enter the IPv4 address used here. Mask Length: Enter the IPv4 mask length used here. Assigned IPv6 Displays the IPv6 assigned prefix value here. 6rd Border Relay Enter the 6rd border relay IPv4 address used here. IPv6 DNS Server: Enter the primary DNS Server address used here. The IPv6 Internet Connection Setup Wizard was completed. automatically configure your IPv6 setting from your ISP. My IPv6 Connection: Select Static IPv6 from the drop-down menu. LAN IPv6 Address: Enter the LAN (local) IPv6 address for the router. LAN Link-Local Address: Displays the RouterвЂ™s LAN Link-Local Address. Enable Check to enable the Autoconfiguration feature. IPv6 Address Lifetime: Enter the IPv6 Address Lifetime (in minutes). My IPv6 Connection: Select Autoconfiguration (Stateless/DHCPv6) from the dropdown menu. Primary/Secondary DNS Enter the primary and secondary DNS server addresses. My IPv6 Connection: Select PPPoE from the drop-down menu. Reconnection Mode: Select either Always-on, On-Demand, or Manual. is maintained during inactivity. To disable this feature, enable Autoreconnect. optimal performance with your specific ISP. 1492 is the default MTU. Autoconfiguration Type: Select Stateful (DHCPv6), SLAAC + RDNSS or SLAAC + Stateless DHCPv6. IPv6 Address Range Start: Enter the start IPv6 Address for the DHCPv6 range for your local computers. IPv6 Address Range End: Enter the end IPv6 Address for the DHCPv6 range for your local computers. My IPv6 Select IPv6 in IPv4 Tunnel from the drop-down menu. IPv6 in IPv4 Tunnel Enter the settings supplied by your Internet provider (ISP). LAN Link-Local Displays the RouterвЂ™s LAN Link-Local Address. Pv6 Address Enter the Router Advertisement Lifetime (in minutes). My IPv6 Connection: Select 6 to 4 from the drop-down menu. 6 to 4 Settings: Enter the IPv6 settings supplied by your Internet provider (ISP). Primary/Secondary Enter the primary and secondary DNS server addresses. IPv6 Address Enter the IPv6 Address Lifetime (in minutes). My IPv6 Connection: Select 6rd from the drop-down menu. Router Advertisement Enter the Router Advertisement Lifetime (in minutes). LAN IPv6 Address Displays the IPv6 address of the router. can be automatically redirected to local servers in the LAN (Local Area Network). the appropriate server within the LAN network. port on the server computer. For a list of ports for common applications, please visit http://support.dlink.com/faq/view.asp?prod_id=1191. This will allow you to open a single port. If you would like to open a range of ports, refer to the next page. and click << to populate the fields. computer within your local network. filters in the Advanced > Inbound Filter page. This will allow you to open a single port or a range of ports. menu. Select your computer and click <<. of ports. Separate ports with a common. Some applications require multiple connections, such as Internet gaming, video conferencing, Internet telephony and others. (public) ports associated with the trigger port to open them for inbound traffic. want to use and enable it. can be either a single port or a range of ports. a comma to add multiple ports or port ranges. disabled and application priority is not classified automatically. other interactive applications, such as VoIP. Measured Uplink This displays the detected uplink speed. as a download/upload pair. For example, 1.5Mbits/284Kbits. can test your uplink speed with a service such as www. Detected Network When Connection Type is set to automatic, the automatically detected connection type is displayed here. Classification: packets can have on more urgent ones. currently connected to the Broadband Router. listed below from the drop-down menu. MAC Address: Enter the MAC address you would like to filter. and click << to copy that MAC Address. Clear: Click to remove the MAC address. Click Next to continue with the wizard. Enter a name for the policy and then click Next to continue. Enter the following information and then click Next to continue. вЂў Machine Address - Enter the PC MAC address (i.e. 00:00.00.00.00). Select the filtering method and then click Next to continue. Enable - Check to enable the rule. Name - Enter a name for your rule. Dest IP Start - Enter the starting IP address. Dest IP End - Enter the ending IP address. Protocol - Select the protocol. Dest Port Start - Enter the starting port number. Dest Port End - Enter the ending port number. To enable web logging, click Enable. Click Save to save the access control rule. Your newly created policy will now show up under Policy Table. Website Filters are used to allow you to set up a list of Web sites that can be viewed by multiple users through the network. Web Filter under the Access Control section (page 45). Add Website Select Allow or Deny. Domain: or block. Click Save Settings. Server, Port Forwarding, or Remote Administration features. Name: Enter a name for the inbound filter rule. Action: Select Allow or Deny. Enable: Check to enable rule. do not want to specify an IP range. if you do not want to specify and IP range. prevent cyber attacks. Sometimes you may want a computer exposed to the outside world for certain types of applications. chosen computer completely to the outside world. will close if idle for 5 minutes. and port of the outgoing connection. that the IP address of the DMZ machine does not change. The Routing option is an advanced method of customizing specific routes of data through your network. the lowest cost and 15 is the highest cost. transit out of the router when this route is used. Transmit Power: Set the transmit power of the antennas. networks in countries that cannot use the 802.11 standard. may create higher data loss. HT20/40 Select to Enable or Disable this feature. as the вЂњAdd New DeviceвЂќ processes. The Wi-Fi Alliance (WFA) has certified it across different products as well as manufactures. of WPA2 is automatically used. Enable: Enable the Wi-Fi Protected Setup feature. generated. You can restore the default PIN at any time. Current PIN: Shows the current value of the routerвЂ™s PIN. Reset PIN to Restore the default PIN of the router. the user interface of the registrar. Add Wireless This Wizard helps you add wireless devices to the wireless network. within 60 seconds. The status LED on the router will flash three times if the device has been successfully added to the network. device. The router acts as a registrar for the network, although other devices may act as a registrar as well. Add Wireless Start the wizard. networking equipment, software and peripherals. the Internet port to be вЂњpingedвЂќ. through the router from the Internet. Enable IPV6 Check the box to allow IPv6 multicast traffic. Enable Guest Check to enable the Guest Zone feature. Network Name: from your main wireless network. Between Zones: different zones created. like to enable for the guest zone. DIR-835вЂ™s IPv6 Firewall functions in a similar way to the IP Filters feature. Enable Checkbox: Check the box to enable the IPv6 firewall simple security. Name: Enter a name to identify the IPv6 firewall rule. connects to the destination IP addresses of the firewall rule. Protocol: Select the protocol of the firewall port (All, TCP, UDP, or ICMP). Click the Save Settings button to save any changes made. This page allows you to specify custom routes that determine how data is moved around your network. Route List: Check the box next to the route you wish to enable. Name: Enter a specific name to identify this route. Destination IP: Enter the host or network address you wish to reach. admin account has the ability to change both admin and user account passwords. can make changes to the settings. cannot change the settings (you can only view them). Enter a name for the DIR-835 router. Gateway Name: Enter a name for the router. Enable HTTPS Check to enable HTTPS to connect to the router securely. remote (Internet) host. The port number used to access the DIR-835. the DIR-835 and 8080 is the port used for the Web Management interface. Inbound Filter: enter https:// as part of the URL to access the router remotely. The Time Configuration option allows you to configure, update, and maintain the correct time on the internal system clock. automatically adjust the time when needed. an end date for daylight saving time. of computers. Check this box to use a NTP server. NTP Server Enter the NTP server or select one from the dropUsed: down menu. Minute, and Second and then click Set Time. SysLog server on your network. Notification: are emailed to a designated email address. SMTP Server Enter the SMTP server address for sending email. Account Name: Enter your account for sending email. Password: Enter the password associated with the account. Re-type the password associated with the account. email to your account when the log is full. schedule, go to Tools > Schedules. select a location and file name for the settings. button to transfer those settings to the router. settings, use the Save button above. Reboot Click to reboot the router. for firmware updates at http://support.dlink.com. You can download firmware upgrades to your hard drive from this site. drive. Click Upload to complete the firmware upgrade. the information into the access point. your server no matter what your IP address is. Address. Check the box to enable DDNS. Username or Enter the Username for your DDNS account. Password or Enter the Password for your DDNS account. Timeout: Enter a time (in hours). Status: Displays the current connection status. Enable: Check the box to enable DDNS for IPv6 Hosts. Host Name: Enter the IPv6 Host Name that you registered with your DDNS service provider. IPv6 DDNS Once you save your entry, the IPv6 DDNS host information will be displayed here. Enable: Check to enable the entry. Host Name: Displays the name of your IPv6 DDNS host. IPv6 Address: Displays the IPv6 address of your computer/server associated with the IPv6 DDNS host. Edit/Delete: Click the edit icon to make changes to the entry or click the delete icon to remove the entry. wish to Ping, and click Ping. Ping Results: The results of your ping attempts will be displayed here. 8pm, you could create a schedule selecting Mon, Tue, Wed, Thu, and Fri and enter a Start Time of 3pm and End Time of 8pm. Name: Enter a name for your new schedule. schedules to go into effect. Release to disconnect from your ISP and use Renew to connect to your ISP. Connect to establish the PPPoE connection. General: Displays the routerвЂ™s time and firmware version. LAN: Displays the MAC address and the private (local) IP settings for the router. and that are receiving an IP address assigned by the router (DHCP). external Syslog Server support so you can send the log files to a computer on your network that is running a Syslog utility. Now to activate your settings. Clear: Clears all of the log contents. conversation between a program or application on a LAN-side computer and a program or application on a WAN-side computer. use the WAN or LAN interface to transit out of the Router. Destination IP: Enter the IP address of the packets that will take this route. packets that will take this route. Gateway: Enter the next hop that will be taken if this route is used. MAC address of the connected wireless clients. The IPv6 page displays a summary of the RouterвЂ™s IPv6 settings and lists the IPv6 address and host name of any IPv6 clients. This page displays the IPV6 routing details configured for your router. with. WPA2 is based on 802.11i and uses Advanced Encryption Standard (AES) instead of TKIP. вЂў User authentication, which is generally missing in WEP, through the extensible authentication protocol (EAP). ensure that only authorized network users can access the network. entered on your wireless router or access point. secure public key encryption system to ensure that only authorized network users can access the network. set your desired wireless network name for the 5GHz band. Type your desired wireless network name (SSID). the routerвЂ™s network key and click Next. wireless clients. Click Save to save your settings. If you selected Manually, the following screen will appear. and successfully establish a connection. down the security key and enter this on your wireless clients. then click Wireless Settings on the left side. 2. Next to Security Mode, select WPA-Personal. if you have wireless clients using both WPA and WPA2. 4.Next to Cypher Type, select TKIP and AES, TKIP, or AES. a pass-phrase in ASCII format at both ends of the wireless connection. The pass-phrase must be between 8-63 characters. passphrase as you did on the router. Setup and then click Wireless Settings on the left side. 2. Next to Security Mode, select WPA-Enterprise. 4. Next to Cypher Type, select TKIP and AES, TKIP, or AES. client is required to re-authenticate (60 minutes is default). 7. Next to RADIUS Server IP Address enter the IP Address of your RADIUS server. your RADIUS server. 1812 is the default port. 9. Next to RADIUS Server Shared Secret, enter the security key. 12. Click Apply Settings to save your settings. wireless adapter. If you are joining an existing network, you will need to know the security key or passphrase being used. 1.Click on the wireless icon in your system tray (lower-right corner). 2.The utility will display any available wireless networks in your area. and click the Connect button. Basics section in this manual for more information. connection fails, please verify that the security settings are correct. the RouterвЂ™s Web UI) and click Next. 5.Type a name to identify the network. Wait for the configuration to complete. 9.Click Close to complete WPS setup. surveyвЂќ option similar to the Windows VistaВ® utility as seen below. center of the bubble to access the utility. Right-click on the wireless computer icon in your system tray (lowerright corner next to the time). Select Connect to a network. The utility will display any available wireless networks in your area. screen). Select Connect to a network. key or passphrase must be exactly the same as on the wireless router. 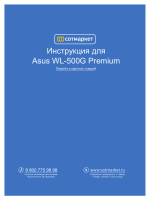 depends on whether you are using Windows VistaВ® to configure the router or third party software. support for WCN 2.0, use software provided by a third party, or manually configure. button or Reset PIN to Default button. For additional information, please refer to page 85.
to the next section to set up the newly-configured router. XP utility as seen below. joining an existing network, you will need to know the WPA key being used. connect to and click Connect. WPA-PSK passphrase must be exactly the same as on the wireless router. operating system, the screenshots on your computer will look similar to the following examples. 1. Why canвЂ™t I access the web-based configuration utility? be on the same IP subnet to connect to the web-based utility. with your firewall software for more information on disabling or configuring it. the button to restore the settings to their defaults. вЂў Click the Connection tab and set the dial-up option to Never Dial a Connection. Click the LAN Settings button. Make sure nothing is checked. Click OK.
вЂў Go to the Advanced tab and click the button to restore these settings to their defaults. Click OK three times. вЂў Close your web browser (if open) and open it. should open the login page for your web management. seconds and try accessing the configuration. If you have multiple computers, try connecting using a different computer. 2. What can I do if I forgot my password? 3. Why canвЂ™t I connect to certain sites or send and receive emails when connecting through my router? we suggest lowering the MTU in increments of ten (Ex. 1492, 1482, 1472, etc). Note: AOL DSL+ users must use MTU of 1400.
another computer, or a URL. вЂў Click on Start and then click Run. press Enter (or click OK). Once you find your MTU, you can now configure your router with the proper MTU size. вЂў Open your browser, enter the IP address of your router (192.168.0.1) and click OK.
вЂў Click on Setup and then click Manual Configure. вЂў To change the MTU enter the number in the MTU field and click Save Settings to save your settings. to enjoy the freedom that wireless networking delivers. and universities. Innovative ways to utilize WLAN technology are helping people to work and communicate more efficiently. Increased mobility and the absence of cabling and other fixed infrastructure have proven to be beneficial for many users. systems support the same protocols as Ethernet adapter cards. frequency to connect wirelessly, so you have the freedom to connect computers anywhere in your home or office network. delivers the performance you need at a price you can afford. 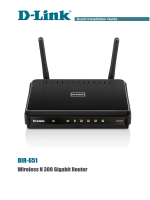 D-Link has all the products you need to build your network. and Wireless Personal Area Network (WPAN). devices that operate on batteries. D-Link has a wireless solution for it. вЂў Surf the web, check email, instant message, etc. places is usually called вЂњhotspotsвЂќ. like: Airports, Hotels, Coffee Shops, Libraries, Restaurants, and Convention Centers. Wireless network is easy to setup, but if youвЂ™re installing it for the first time it could be quite a task not knowing where to start. ThatвЂ™s why weвЂ™ve put together a few setup steps and tips to help you through the process of setting up a wireless network. Here are a few things to keep in mind, when you install a wireless network. a two-story home, you may need a repeater to boost the signal to extend the range. the WPA or WEP security feature on the router. Refer to product manual for detail information on how to set it up. вЂў Infrastructure вЂ“ All wireless clients will connect to an access point or wireless router. adapters on each computer, such as two or more DIR-835 wireless network Cardbus adapters. wireless router or access point. server (i.e. wireless router) automatically. To verify your IP address, please follow the steps below. At the prompt, type ipconfig and press Enter. default gateway of your adapter. security settings, and the settings on your router. request on newly installed adapters. Click on Start > Control Panel > Network and Internet > Network and Sharing Center. From the desktop, right-click My Network Places > Properties. Right-click on the Local Area Connection which represents your network adapter and select Properties. Highlight Internet Protocol (TCP/IP) and click Properties. as your network or the LAN IP address on your router. Secondary DNS is not needed or you may enter a DNS server from your ISP. Click OK twice to save your settings. volume of network traffic, building materials and construction, and network overhead, lower actual data throughput rate. Environmental factors will adversely affect wireless signal range. 3 The DIR-835 does not include 5.25-5.35GHz & 5.47-5.725GHz in some regions. authors. For details, see the GPL code and the LGPL code for this product and the terms of the GPL and LGPL. allowed under the GPL and LGPL. can change the software or use pieces of it in new free programs, and that you know you can do these things. responsibilities if you distribute copies of the software, or if you modify it: responsibilities to respect the freedom of others. received. You must make sure that they, too, receive or can get the source code. And you must show them these terms so they know their rights. to those domains in future versions of the GPL, as needed to protect the freedom of users. effectively proprietary. To prevent this, the GPL assures that patents cannot be used to render the program non-free. вЂњThis LicenseвЂќ refers to version 3 of the GNU General Public License. вЂњCopyrightвЂќ also means copyright-like laws that apply to other kinds of works, such as semiconductor masks. exact copy. The resulting work is called a вЂњmodified versionвЂќ of the earlier work or a work вЂњbased onвЂќ the earlier work. A вЂњcovered workвЂќ means either the unmodified Program or a work based on the Program. without modification), making available to the public, and in some countries other activities as well. computer network, with no transfer of a copy, is not conveying. commands or options, such as a menu, a prominent item in the list meets this criterion. specified for a particular programming language, one that is widely used among developers working in that language. work runs, or a compiler used to produce the work, or an object code interpreter used to run it. control flow between those subprograms and other parts of the work. You may make, run and propagate covered works that you do not convey, without conditions so long as your license otherwise remains in force. for running those works, provided that you comply with the terms of this License in conveying all material for which you do not control copyright. prohibit them from making any copies of your copyrighted material outside their relationship with you. 3. Protecting UsersвЂ™ Legal Rights From Anti-Circumvention Law. WIPO copyright treaty adopted on 20 December 1996, or similar laws prohibiting or restricting circumvention of such measures. of the work as a means of enforcing, against the workвЂ™s users, your or third partiesвЂ™ legal rights to forbid circumvention of technological measures. b) The work must carry prominent notices stating that it is released under this License and any conditions added under section 7. This requirement modifies the requirement in section 4 to вЂњkeep intact all noticesвЂќ. interfaces that do not display Appropriate Legal Notices, your work need not make them do so. works permit. Inclusion of a covered work in an aggregate does not cause this License to apply to the other parts of the aggregate. Corresponding Source fixed on a durable physical medium customarily used for software interchange. from a network server at no charge. the Corresponding Source, you remain obligated to ensure that it is available for as long as needed to satisfy these requirements. Corresponding Source of the work are being offered to the general public at no charge under subsection 6d. industrial or non-consumer uses, unless such uses represent the only significant mode of use of the product. how the transaction is characterized), the Corresponding Source conveyed under this section must be accompanied by the Installation Information. example, the work has been installed in ROM). the entire Program remains governed by this License without regard to the additional permissions. When you convey a copy of a covered work, you may at your option remove any additional permissions from that copy, or from any part of it. permissions on material, added by you to a covered work, for which you have or can give appropriate copyright permission. on those licensors and authors. material governed by the terms of that license document, provided that the further restriction does not survive such relicensing or conveying. apply to those files, or a notice indicating where to find the applicable terms. by some reasonable means prior to 60 days after the cessation. the violation prior to 30 days after your receipt of the notice. this License grants you permission to propagate or modify any covered work. These actions infringe copyright if you do not accept this License. Therefore, by modifying or propagating a covered work, you indicate your acceptance of this License to do so. work, subject to this License. You are not responsible for enforcing compliance by third parties with this License. licensed is called the contributorвЂ™s вЂњcontributor versionвЂќ. the right to grant patent sublicenses in a manner consistent with the requirements of this License. sell, offer for sale, import and otherwise run, modify and propagate the contents of its contributor version. means to make such an agreement or commitment not to enforce a patent against the party. particular work, or (3) arrange, in a manner consistent with the requirements of this License, to extend the patent license to downstream recipients. of the covered work, then the patent license you grant is automatically extended to all recipients of the covered work and works based on it. available to you under applicable patent law. 12. No Surrender of OthersвЂ™ Freedom. this License would be to refrain entirely from conveying the Program. will be similar in spirit to the present version, but may differ in detail to address new problems or concerns. holder as a result of your choosing to follow a later version. OPERATE WITH ANY OTHER PROGRAMS), EVEN IF SUCH HOLDER OR OTHER PARTY HAS BEEN ADVISED OF THE POSSIBILITY OF SUCH DAMAGES. assumption of liability accompanies a copy of the Program in return for a fee. вЂў Connect the equipment into an outlet on a circuit different from that to which the receiver is connected. and (2) this device must accept any interference received, including interference that may cause undesired operation. Any changes or modifications not expressly approved by the party responsible for compliance could void the userвЂ™s authority to operate this equipment. Operations in the 5.15-5.25GHz / 5.470 ~ 5.725GHz band are restricted to indoor usage only. direct contact to the transmitting antenna during transmitting. If this device is going to be operated in 5.15 ~ 5.25GHz frequency range, then it is restricted in indoor environment only. This transmitter must not be colocated or operating in conjunction with any other antenna or transmitter. the intended destination. The firmware setting is not accessible by the end user. 2) This device must accept any interference, including interference that may cause undesired operation of the device. for point-to-point and non point-to-point operation as appropriate, as stated in section A9.2(3). bands 5250-5350 MHz and 5650-5850 MHz and these radars could cause interference and/or damage to LE-LAN devices. (1) Ce pГ©riphГ©rique ne doit pas causer dвЂ™interfГ©rence et.